Make Anything Pop-Up is a design studio founded by paper engineer Katherine Belsey in 2013. 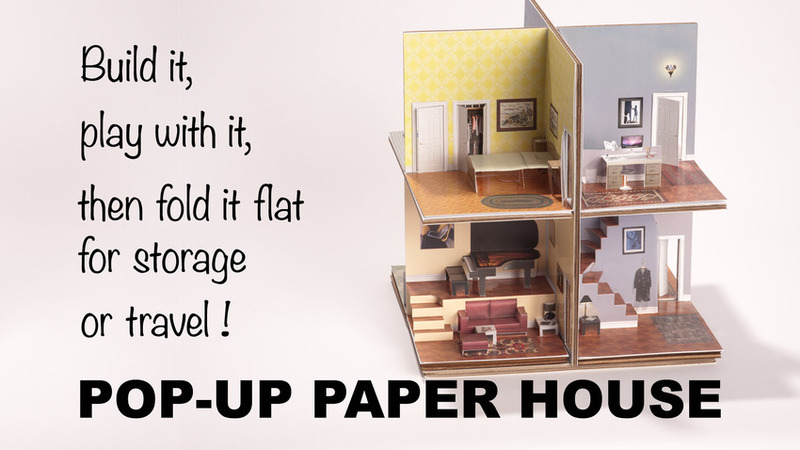 True to it's name, in addition to pop-up cards, the selection includes DIY digital patterns for a foldable paper chess set, a mechanical calculator, masks, and the two story, eight room collapsible pop-up paper house you will find here. As the selection of physical products expands they will be added to this channel, so come back often!